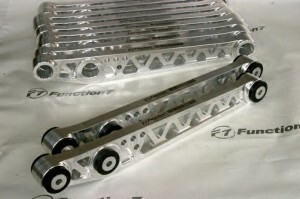 Function 7 Engineering Rear Lower Control Arms designed for extreme race use. 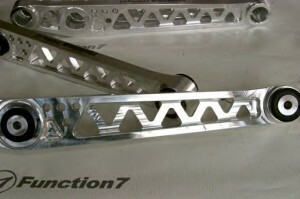 These lower control arms are machined out of 7075 aluminum for excellent strength, an treated to resistance corrosion. 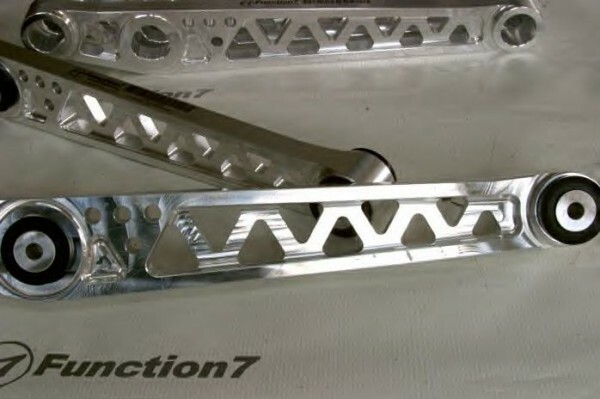 Every LCA is tracked step by step in the manufacturing process. Also each LCA is individually serialized, engraved, and barcoded for quality asurance. Sold as pair Right & Left.